The Medical Research Council improves human health through world-class medical research. We fund research across the biomedical spectrum, from fundamental lab-based science to clinical trials, and in all major disease areas. Our research has resulted in life-changing discoveries for over a hundred years. We are a non-departmental public body funded through the government's science and research budget. We invest in research on behalf of the UK tax payer. Scientists apply for funding for their research and applications are reviewed by panels of independent experts. Everything we do is driven by knowledge to positively impact on what matters to people with arthritis. Our long-term commitment is to: prevent the onset of arthritis develop a cure for arthritis transform the lives of those with arthritis. "I am in control, independent and recognised"
- feel that they have a voice and are being heard, understood and visible. You can help too. Please join our fight against arthritis by telling your story and supporting our work. CSO are part of the Scottish Government Health Directorates. Their vision is to support and increase the level of high-quality health research conducted in Scotland. This is for the health and financial benefits of our population so that Scotland is recognised globally as a ‘come to place’ for health science. The CSO's website contains information about all aspects of the work of CSO which encompasses awarding grants and fellowships, funding research units, supporting all research in NHS Scotland through NRS (NHS Research Scotland), contributing to UK-wide research programmes managed by NETSCC, encouraging industry funded research and fostering a research culture in NHSScotland. 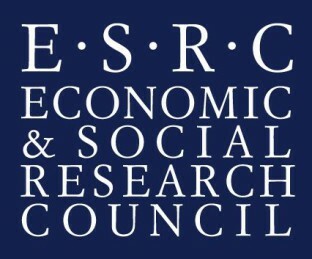 We are the UK's largest organisation for funding research on economic and social issues. We support independent, high quality research which has an impact on business, the public sector and the third sector. We are a non-departmental public body (NDPB) established by Royal Charter in 1965 and receive most of our funding through the Department for Business, Innovation and Skills (BIS). Our research is vigorous and authoritative, as we support independent, high-quality, relevant social science. 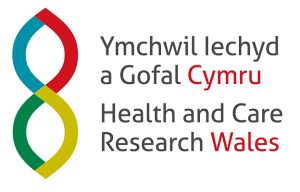 Our vision is for Wales to be internationally recognised for our excellent health and social care research that has a positive impact on the health, wellbeing and prosperity of the people in Wales. 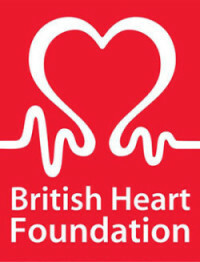 The National Institute for Health Research (NIHR) is funded through the Department of Health to improve the health and wealth of the nation through research. It is a large, multi-faceted and nationally distributed organisation. Together, NIHR people, facilities and systems represent the most integrated clinical research system in the world, driving research from bench to bedside for the benefit of patients and the economy. Since its establishment, the NIHR has transformed research in the NHS. It has increased the volume of applied health research for the benefit of patients and the public, driven faster translation of basic science discoveries into tangible benefits for patients and the economy, and developed and supported the people who conduct and contribute to applied health research. The Wellcome Trust is an independent global charitable foundation dedicated to improving health. Science and research expand knowledge by testing and investigating ideas. This new understanding can be applied to health and change medicine, behaviour and society. That’s why we support thousands of curious, passionate people all over the world to explore great ideas, at every step of the way from discovery to impact.